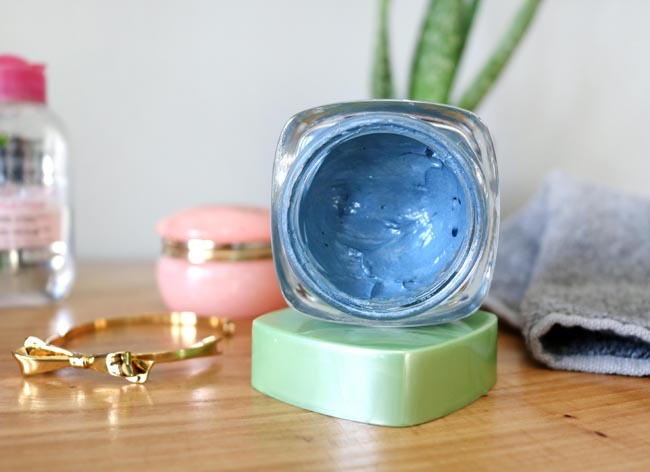 The Blue Face Mask From L’Oreal That I LOVE! 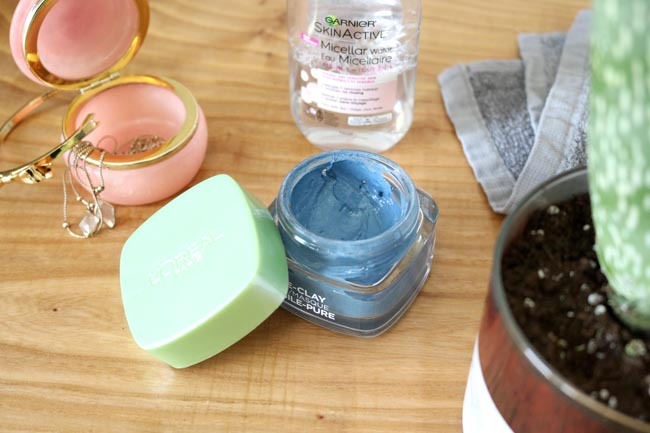 As I write this post I’m sitting with the L’Oreal Clear & Comfort Seaweed Clay Face Mask on. I can feel the cooling effects as it dries. I can smell the slight lemon and lavender scent. It’s tight without feeling uncomfortable. And I know that when I wash it away my skin will feel clean and rejuvenated. 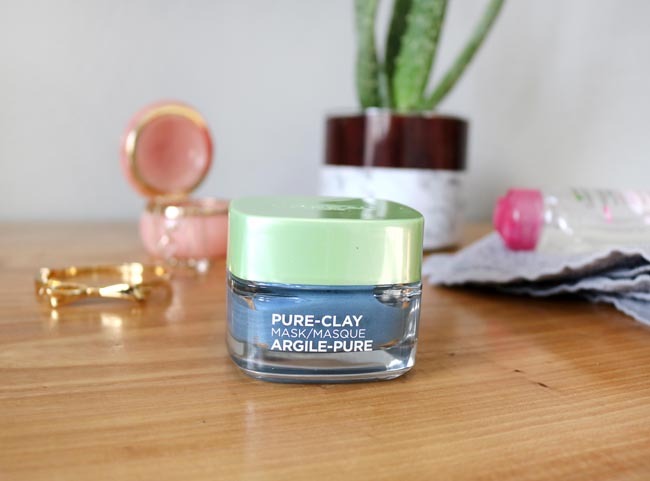 I spoke about the L’Oreal Clear & Comfort Seaweed Clay Face Mask briefly in my January 2018 Beauty & Lifestyle Favourites post. And I’ve been using it constantly since! Any time I feel a pimple popping up, this brilliant blue mask mellows the sucker right out. 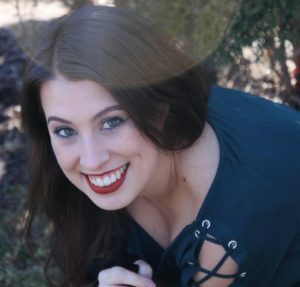 I find it prevents breakouts from occurring, and reduces the appearance of blemishes that have managed to sneak through. It’s the perfect consistency. Not too thin, not too thick. And it doesn’t take much effort to wash away. I also find it doesn’t make my skin feel dry or tight afterwards. Which is interesting, because I believe this specific formula is targeted at those with oily skin. However, there’s a perfect balance of ingredients that help remove dirt and lift oils, while soothing stressed areas. The mask consists of three types of clay: kaolin, montmorillonite (whatever that is), and Moroccan lava. There’s also seaweed, which adds a dose of hydration and is said to visibly reduce the appearance of imperfections. I leave mine on for 10-15 minutes (sometimes longer) and like to admire the fun colour. 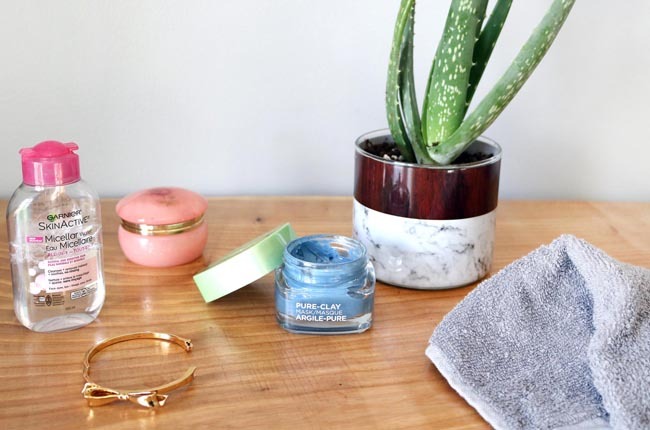 According to L’Oreal, blue is a peaceful colour, and face masks are typically used at the end of a long day, which makes the two a perfect combination for relaxing. I love how luxurious the L’Oreal Pure Clay Masks feel in their glass jars. Especially because they’re some of the most affordable potted masks on the market. In Canada they cost $12.97 at Walmart.